All eyes were on Brazil this week, and searches were not far behind. 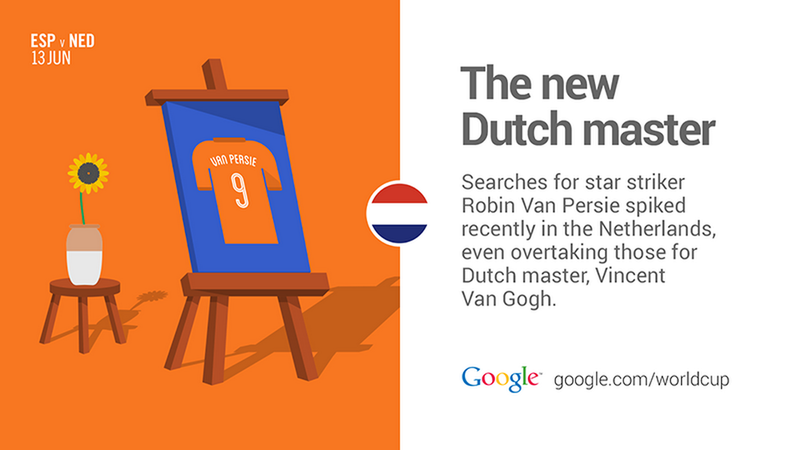 Here’s a look at what’s trending on Google, from the football pitch to the political battlefield. The World Cup kicked off yesterday, and it’s safe to say that it’s on pretty much everyone’s minds. Even in the U.S., searches for the tournament beat searches for the NBA Finals and the Stanley Cup Playoff combined. In addition to more general searches like [world cup schedule] and [world cup 2014], people searched for information on top players like Cristiano Ronaldo—who left the field limping during a practice session this week—and Ronaldinho, who won’t be on Brazil’s squad this year but still has star power. 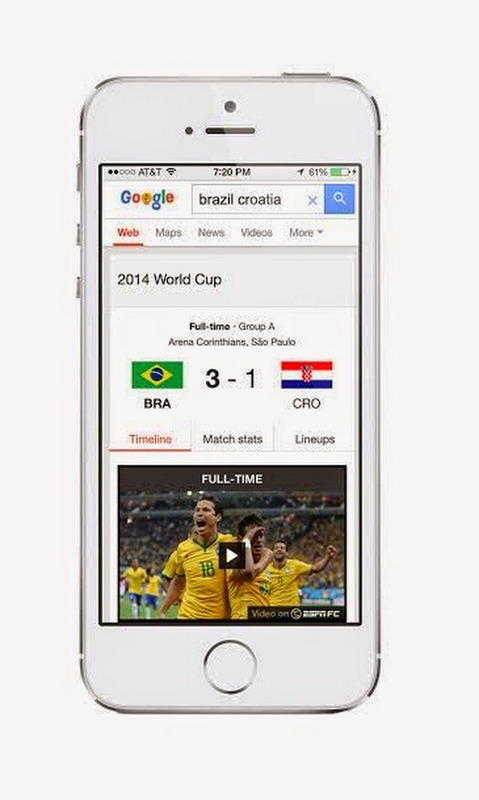 If you want more news from Brazil, be sure to check out google.com/worldcup, where we’ll be sharing trends about every match for all 32 countries. This week in entertainment, it seems to be all about the sequels. Harry, Lloyd and the Mutt Cutts van are back in Dumb and Dumber To, which premiered its trailer on the Tonight Show Starring Jimmy Fallon this week. As Harry says in the original movie, “Just when I thought you couldn't possibly be any dumber, you go and do something like this... and totally redeem yourself!” (Well, we’ll see, at least.) Meanwhile, cop comedy 22 Jump Street debuts in theaters today and searches are spiking for the film as well as for one of its (newer) stars—actress Amber Stevens. Americans got a major surprise this week in Virginia when U.S. House Majority Leader Eric Cantor lost the primary election to the relatively unknown David Brat. People turned to the web to learn more about the upset, though searches for Cantor still dominate over those for Brat overall. Mila Kunis, who is pregnant with her first child, went on Jimmy Kimmel this week to make an important public service announcement to men who say “we are pregnant”: Just. don’t. do it. 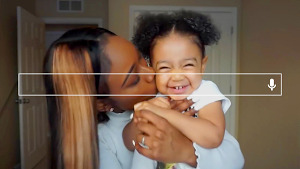 And Blue Ivy, the daughter of Beyoncé and Jay-Z, has landed on the trending search list after an online petition was created urging Blue Ivy’s parents to “comb her hair.” The petition ignited a debate about natural hair and standards of beauty.